This is an example of how to make an application without using Delphi's TForm / TObject / 300k IDE. 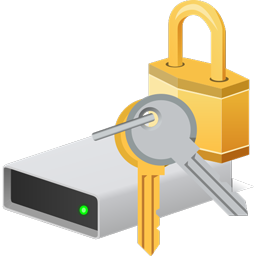 The theme of the example is a basic Encrypter/Decrypter. This is a graphics library/toolkit. It consists of a DIB object and units for effects, file formats, quantizing/dithering, resampling, and drawing lines shapes etc. The component, TFastIMG, has properties like DrawStyle (dsDraw, dsCenter, dsTile, dsResize, dsStretch) and SizeMode (smGDI, smFast, smBilinea)... its also flicker-free. This version can hold a DIB in the form (.dfm) file. Check the homepage for more examples. How to make a rotozoomer. Showing of the fastest bilinear rotozoom algorithm. Example how to make a plugin for WinAmp. Uses FastLIB.